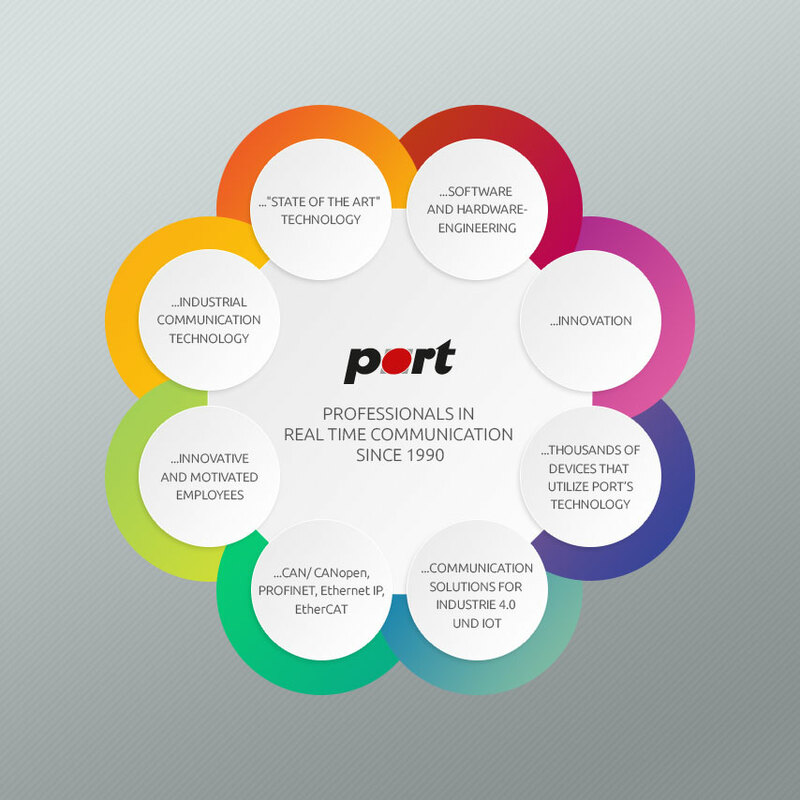 (07/2017) Port maintains an EtherCAT Protocol Library which has common roots with port’s CANopen and POWERLINK Protocol Library. The EtherCAT Library by port supports various platforms and all existing EtherCAT Slave Controller solutions: Beckhoff’s ET1100/1200 based, Microchip’s LAN9252, TI’s PRU embedded ESC and all on‑chip solutions, such as Renesas (EC-Series) or Infineon´s XMC. The versatile and very powerful Object Dictionary is configured and maintained by the EtherCAT DesignTool and allows for reproducible and documented project handling. The ESI File is created in this process as well. The recent patch supports 64Byte data types and comes with the lwIP TCP/IP Stack connected to the EoE Mailbox. Accordingly the full functionality of the lwIP TCP/IP Stack is available over the EoE mailbox.